Jimmy Kirkland is a Senior Partner in the accounting and litigation services firm of White, Zuckerman, Warsavsky, Luna & Hunt, LLP, where he heads up the financial and tax accounting practice of the firm. 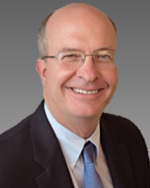 Jimmy has over 24 years of experience in the areas of financial reporting for public and non-public companies, as well as federal, state, multi-state, and international taxation of individuals, corporations and partnerships. He is very experienced in the handling of income tax audits, and the resolution of disputes between taxpayers and taxing authorities. In addition to the above services, he provides business consulting services in areas such as mergers and acquisitions. Prior to joining White, Zuckerman, Warsavsky, Luna & Hunt, Jimmy was a partner and owner of KW&Company, Certified Public Accountants, for 16 years. While at KW& Company, he provided a broad range of services to a diverse client base. Industries where Jimmy has extensive experience are television production, manufacturing, wind and solar power, produce distribution, engineering design, escrow, and automotive. Individual clients have been the principals of the business entities he works with, in addition to professional athletes and a broad array of individuals with varied interests. Jimmy attended the University of Texas at Austin and the University of Texas Pan American, where he received his Bachelor of Business Administration with an emphasis in accounting. He has been a CPA since 1993, and is a member of the American Institute of Certified Public Accountants, as well as the California Society of Certified Public Accountants.